The latest Board MP3 Decoder that is cheap at the price. It receives Commands through RS232 PORT to control to play files from MEMORY CARD ‘SD-MICRO’ in the format of MP3 or WAV. It uses the device No.VS1003B from VLSI to be MP3 Decoder; this IC MP3 Decoder has high-quality sound, so it is suitable for applying for advertisement, exhibition, or museum. 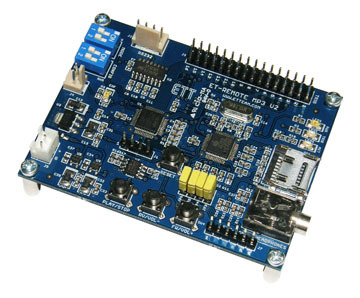 - COMMAND MODE: It controls to play files by Command from RS232 PORT. - LIST SONG MODE: It calls to see list of song file and order of file in MICRO-SD. 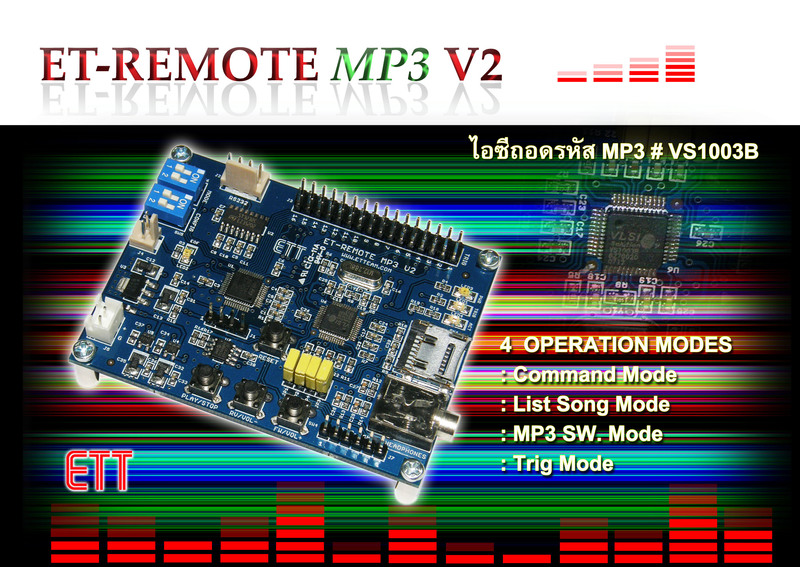 - MP3 SW MODE: It controls the operation by SW. on board. - TRIG MODE: It uses external OUTPUT to TRIG and choose files. There are 16 INPUTs, or it is interfaced to be 16 SW. for TRIG to choose 16 files. Every time it ends any file, it gives OUTPUT LOGIC 0 through CONNECTOR and it is sent in the format of COMMAND EOF through RS232 for COMMAND MODE. Only supports file MP3 or WAV; it cannot RECORD. Support MICRO-SD from 2GB to 16GB in the format of FAT 16 and 32. 10. ขนาด PCB 8.00 x 6.10 cm. PCB size: 8.00 x 6.10 cm.